Transworld Cargo Packers and Movers is a renowned service provider for packing and moving of households, office furniture and equipments, plant and machineries, industrial goods and so on. We are known packers and movers in domestic and international markets. With a sole aim to offer total customer satisfaction. Transworld Cargo Packers and Movers is a leader in the relocation industry and serves its customers country wide. Transworld Cargo Packers and Movers is an independent relocation management company and is ranked as one of the country's leading packers and movers specialization in household & corporate goods transportation with facilities for warehousing and storage. Transworld Cargo Packers and Movers is a prominent name in the packing and moving industry. Since the time of its inception, Transworld Cargo Packers and Movers has strived to serve as many customers as possible. We have a dedicated team skilled and experienced labour that is trained to take care of all your commercial and personal property. We handle all the relocation details with full dedication and sincerity. 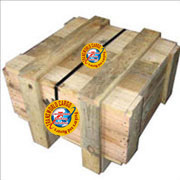 Our dedicated team makes sure that all the goods are packed carefully to avoid any chances of in-transit damage.